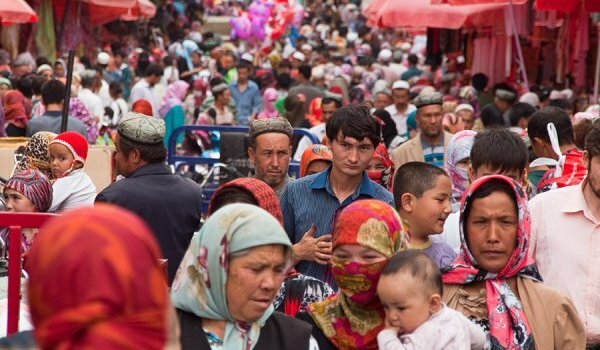 The United States Congressional Executive Commission on China (CECC) has issued a statement on the current human rights situation of Uyghurs living in the northwest of China, which – according to claims made therein – has significantly deteriorated since the 2017 CECC report on this same issue had been released last year. In this statement CECC Chairman, Sen. Marco Rubio, highlights restrictions on freedom of speech and religious freedoms, as well as the increase in surveillance. The forced collection of DNA and blood types in particular are examples of the many breaches in privacy and international human rights. CECC representatives also mentioned the recent case of Rebiya Kadeer, whose family has been detained and most likely tortured as a form of punishment for her activism in exile. Restrictions on religion and security controls have intensified in northwest China’s Xinjiang region in recent months, a congressional commission said Monday [8 January 2018], warning that Washington’s anti-terrorism cooperation with Beijing must not come at the cost of the rights of ethnic Uyghurs. “Reports indicate XUAR Communist Party Secretary Chen Quanguo has implemented a hard-line, all-encompassing security network throughout the region, by overseeing the hiring of tens of thousands of new security personnel, the convening of mass rallies, and the involuntary collection of residents’ DNA, fingerprints, eye scans, and blood types,” said Senator Marco Rubio, CECC chairman. Representative Chris Smith, co-chairman of the CECC, similarly expressed alarm over the state of human rights in Xinjiang. “The Chinese government’s expansive surveillance and security network in Xinjiang is a gross violation of privacy and international human rights, including the right to religious freedom, as the government is turning mosques into political propaganda centres and labelling religious beliefs as extremist,” he said.